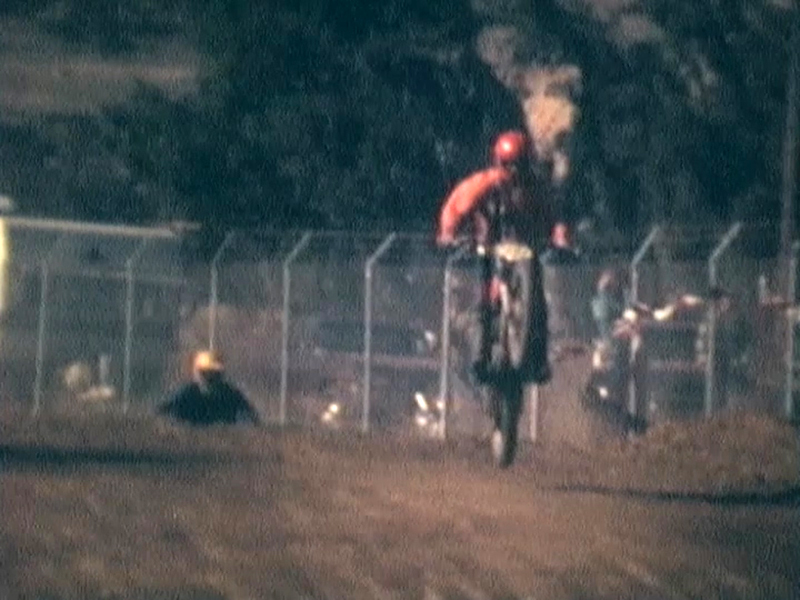 SCVHistory.com DI7201 | Valencia | FILM: Motocross Racing at Indian Dunes, 1972. 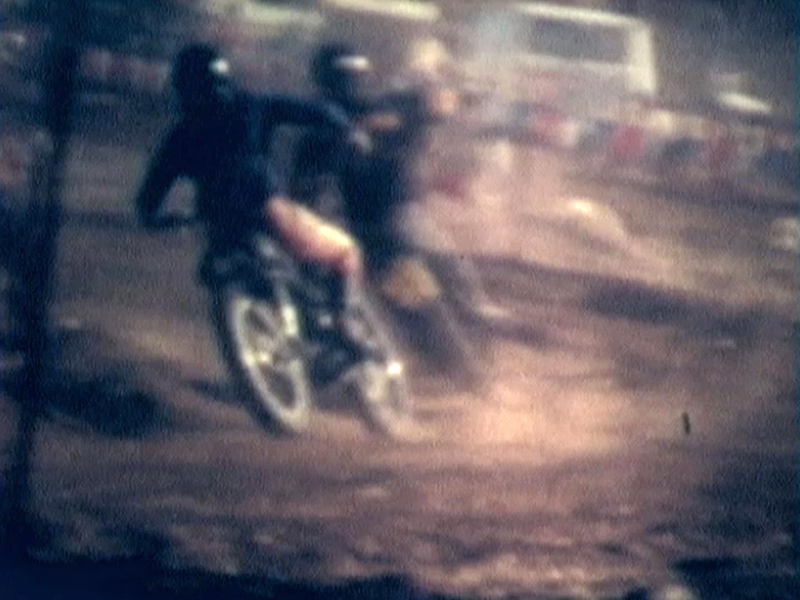 Indian Dunes, January 1972: Bert Tolbert is using his 8mm movie camera to film his son, Dennis Tolbert (1955-1977), then a junior at Hart High School, and his friends during races and warmups. Some of the racers were Frank Giardina, Randy Whiteaker, Larry Watkins, Fred Mathews and Larry Conner. 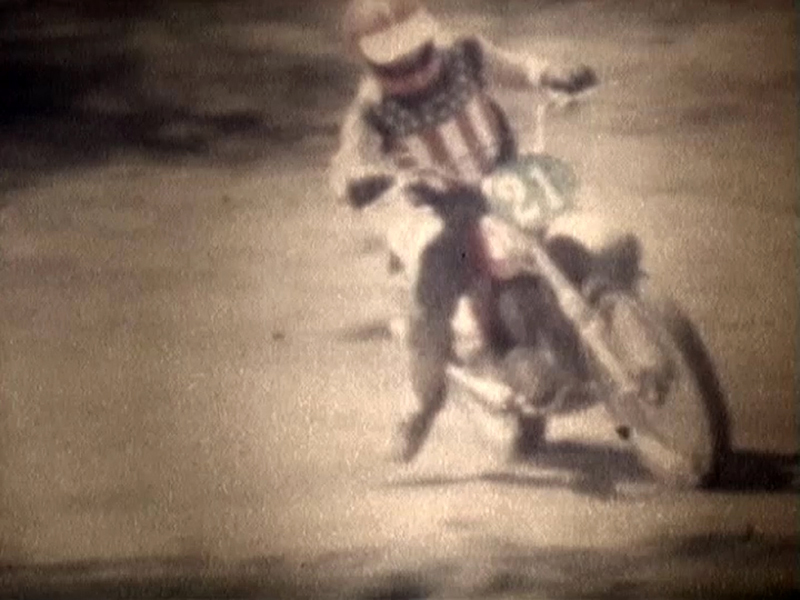 The film was brittle and fragile and even burned during the process of converting it to a digital format. 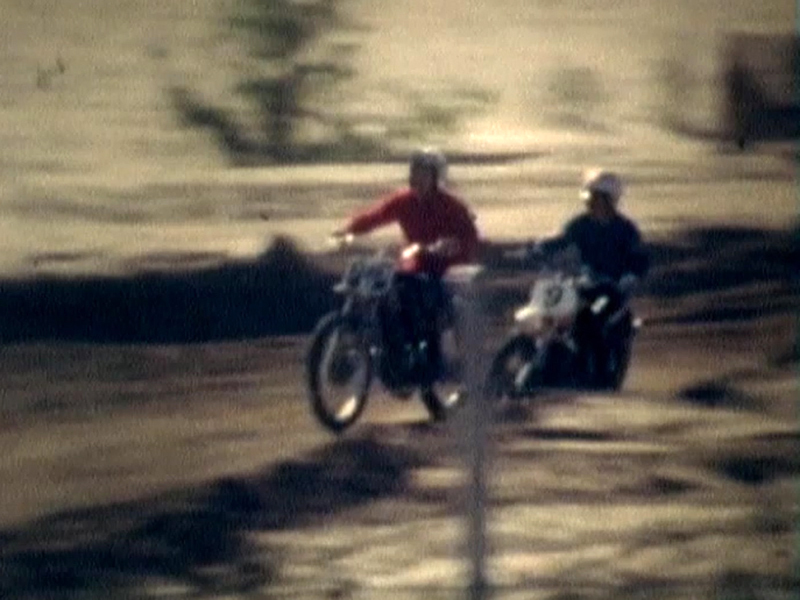 There were several different racetracks at Indian Dunes, and they would vary the terrain weekly, if I remember correctly. The guys who raced there knew each of the tracks by name. I did not race there, so I did not know the names. Before I got my license, I rode my 10-speed bicycle all over this valley — yes, even to Hart from our home in Saugus. Then when I got my learner's permit, I got the Suzuki, and it was legal on streets, so that is what I drove (even to Hart). By the time I hit 16, I got a Chevy Malibu. Dennis had totaled the Suzuki by then, so that was the end of my motorcycle days. Other versions: [higher resolution] and [uncut video (approx. 1 min. longer)].